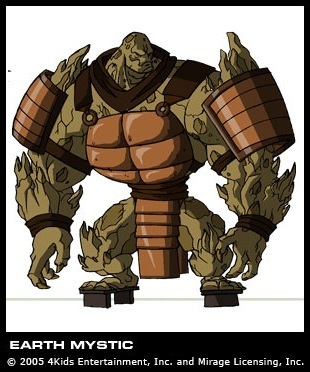 The Earth Mystic was one of theFoot Mystics, who are loyal to the Tengu Shredder in the 2003 TV series. He was voiced bySean Schemmel. He first appeared in the episode Return to New York, Part 2. He is larger and more muscular than the other Mystics. He can create dust, sand, dirt and mud that blinds or overwhelms enemies, hurl large boulders, and tunnel underground. The Earth Mystic also appears in the 2003 video game.